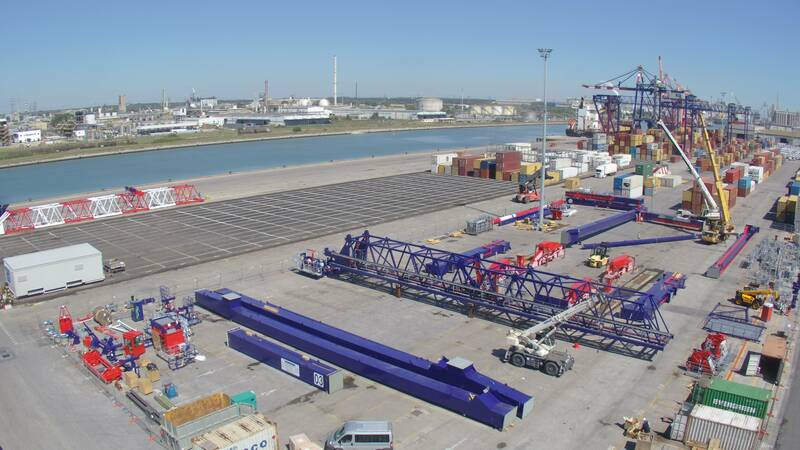 The assembly of the new STS crane has terminated, 8 weeks after arriving from Liebherr’s headquarters in Fenit, Ireland. The assembly was completed perfectly on schedule in a designated area of TCR, where the final wiring operations are now taking place. As opposing to the recently installed RMGs, the STS’s assembly took place in specific area, distant from the quay, where a dedicated railway track has been temporarily built for the cause. The next step will consist in moving the STS crane from the dedicated building tracks to the operating tracks on the dock. In order to do this, special supports and reinforcements must be installed on the STS, so that self-propelled vehicles can move it safely in place. The new crane will replace the older STS Q03 which has now reached the end of its life cycle and will soon be disassembled. In order to do this, the two cranes will swap positions: the new crane will be mounted where the older STS used to operate, while the Q03 will be disassembled on the dedicated temporary railway tracks where the newer crane is currently being finalized. This delicate swapping operation needs preparation and constant monitoring, and the facility and the vehicles will be specially equipped to move both the new STS and the older Q03 sequentially. 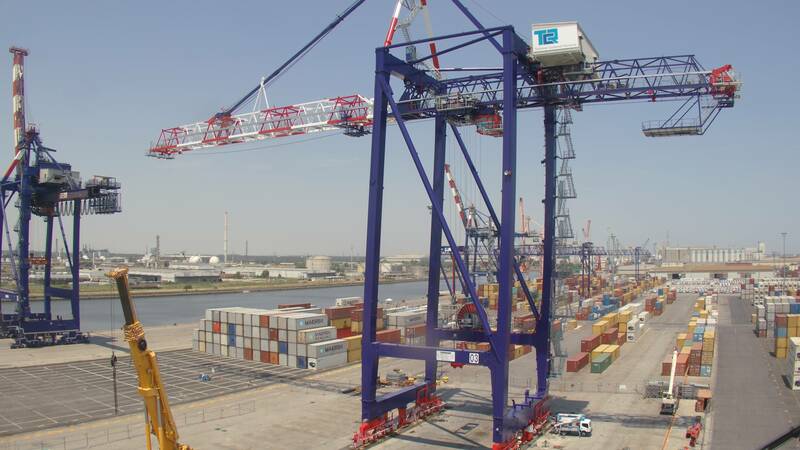 “The decision to use the same self-propelled vehicles to move both the cranes has been widely approved by T.C.R.’s entire technical staff” explains Filippo Figna, Head of Maintenance in Terminal Container Ravenna “as this is the only operation that will allow us to remain within schedule, and to achieve the goal of positioning the crane on the tracks before week 30 and to have it commissioned before the end of summer”. “As a matter of fact” Filippo continues, “the movement of the two cranes is a quite complex and invasive operation due to their significant size and weight. At the moment, the T.C.R team, Liebherr and the company responsible for the assembling operations are working together to carefully plan every detail of the process. 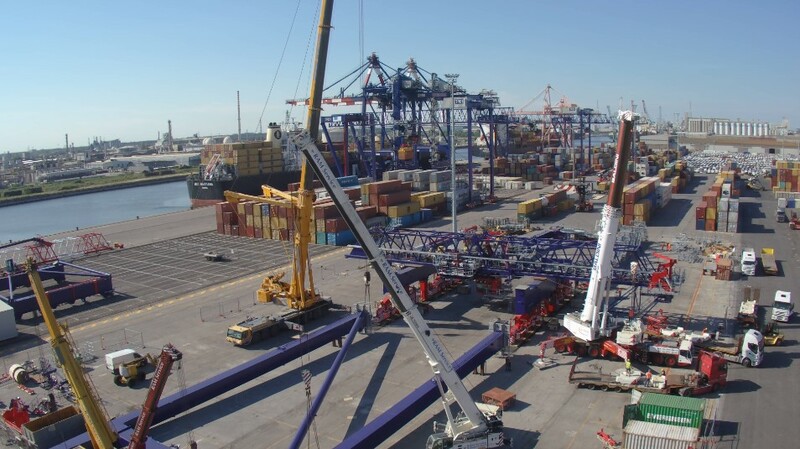 It’s quite a challenge for all of us, as we are planning to swap the two cranes without disrupting any of the port’s activities: we want to maintain the constant service that our customers at T.C.R. are used to”. New Liebherr STS crane in TCR installed and secured. First tests are now taking place.